Speaking Tree's Rosemary essential oil is 100% natural and organic. It contains premium therapeutic grade Rosemary extracts which ensure physical and emotional well-being. It is one of the most popular aromatherapy oils that has been used since ancient times as a medicinal and culinary herb by the Greeks and Romans due to its therapeutic properties. It is also great for hair and skin care and is used as an ingredient in several products such as skin care cleansers, soaps, face masks, toners and creams. 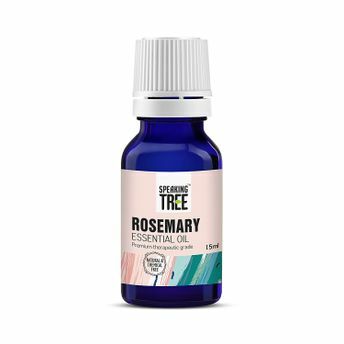 Alternatively, you can also find many more products from the Speaking Tree Rosemary Essential Oil range.